Updated 10:55AM, Friday September 7th, 2012	by Sam Hailes, Christian.co.uk Be the first to comment! 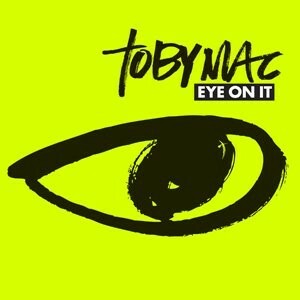 Toby Mac has become the first Christian artist since 1997 to enter the US Billboard 200 chart at number one. The 47 year-old's fifth studio album Eye On It outsold Maroon 5 and Adele, earning the top spot on both Billboard's 200 and Christian Albums chart simultaneously. The last time an inspirational album topped the chart was LeAnn Rimes' You Light Up My Life. While many Christian artists including Casting Crowns and David Crowder Band are no strangers to the Billboard 200 chart, only Toby Mac, LeAnn Rimes and Bob Carlise have ever made the top spot. The rapper took to Twitter to thank fans, "Wow, thank u guys so much. Honored & grateful!! To God b the glory...Steal my Show." Billboard reported that 50% of sales came from digital downloads and 27% from Christian retailers.